Mary Moran maintains a private studio of violin and viola students in the Stevens Point and Plover area of Central Wisconsin, working with young beginners, advanced students, and adults. Mary has been teaching privately for over fifteen years, and received long-term Suzuki training with Pat D’Ercole at the Aber Suzuki Center. She has also worked as a sectional and chamber music coach with the Central Wisconsin Youth Symphony Orchestra and El Paso Symphony Youth Orchestra programs. Mary is co-principal viola of the Central Wisconsin Symphony Orchestra. As the CWSO’s Education and Community Engagement Coordinator, she performs in area schools as part of the Meet the Music program introducing elementary-age students to orchestral instruments. 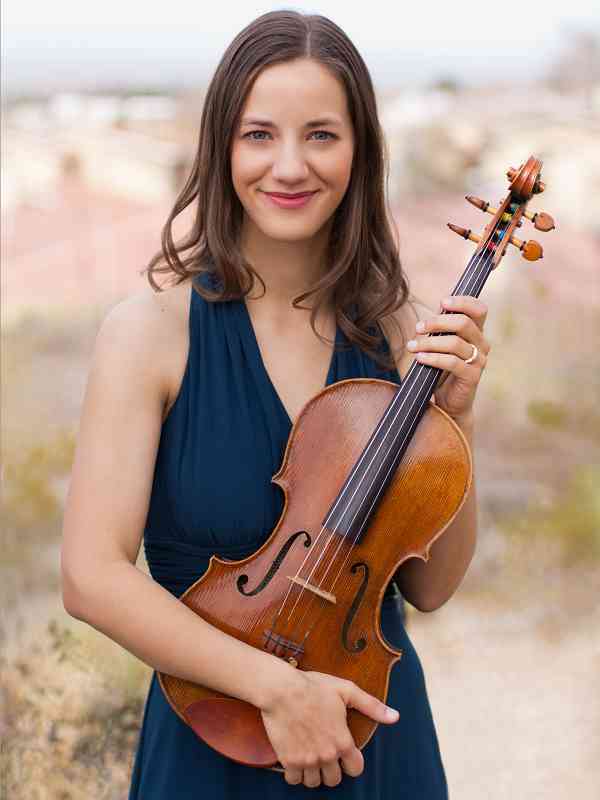 Previously, she was a member of the El Paso Symphony Orchestra, Las Cruces Symphony Orchestra, Shreveport Symphony Orchestra, and Evansville Philharmonic Orchestra in addition to other ensembles in Indiana, Kentucky, Louisiana, Texas, and Arkansas. She has also performed with the National Repertory Orchestra, and at the Aspen Music Festival, the Round Top Festival Institute, and the Castleton Festival in Virginia. Additionally, she enjoys an active career as a chamber musician. Mary earned a Master of Music degree in Viola Performance from Southern Methodist University, where she studied with Ellen Rose. She also completed a Master of Music degree in Music History and Literature from SMU. Prior to that, Mary earned a Bachelor of Music degree in Viola Performance from the University of Oklahoma, as well as a Bachelor of Arts degree in Liberal Arts. While at Oklahoma, she studied with Wayne Crouse, Matthew Dane, and Ellen Rose.